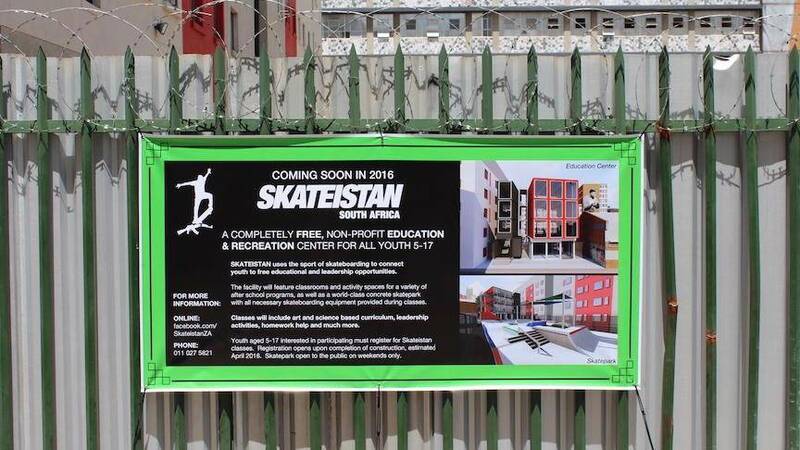 How does Skateistan’s new skate school in Johannesburg, South Africa, represent the heights Skateistan has achieved as an organization? It’s incredible to see how far Skateistan has come from three skateboards and a handful of kids in Kabul. The vision of the organization developed and grew naturally over time. The key was to always do things within our means and then try to think bigger. We never waited for anyone to support us; we just jumped straight in with whatever resources we had at the time. We’re currently building a state-of-the-art Skate School in Johannesburg, the first of its kind running our programs to grow Skateistan in Africa. 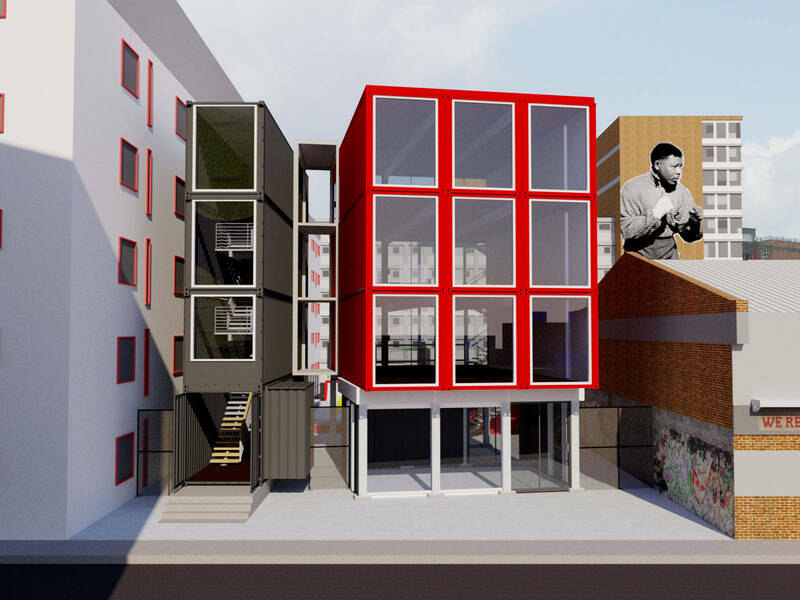 Our new Skate School in central Johannesburg will be accessible by hundreds of vulnerable children living in “hijacked” buildings, children exposed daily to drugs and violence. Who else is involved in the new Skate School? It’s remarkable the people involved in our project in South Africa. Partly financed by a collaboration with artist Paul McCarthy and The Skateroom, they donated over $200,000 towards the building of the Skate School. 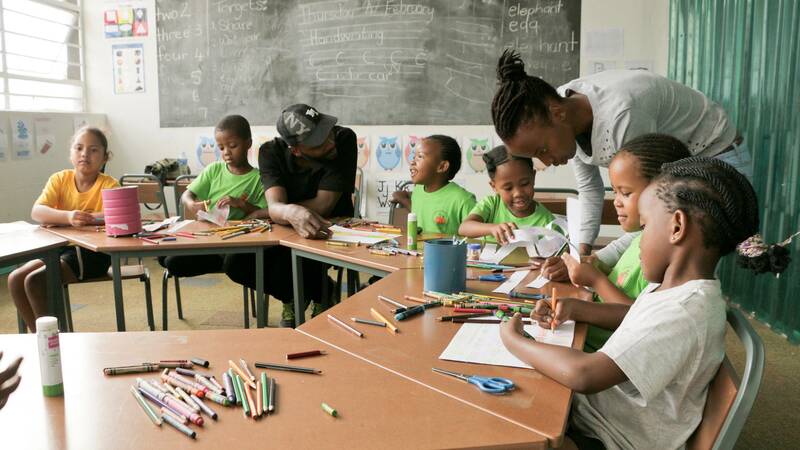 The Tony Hawk Foundation has been a key partner in this project and Yasiin Bey (Mos Def) is also getting in touch to help out. I still can’t believe I get to work together with such amazing people to do something I’m very passionate about. What are the challenges you expect in accomplishing your goals in the community of Johannesburg, in comparisons to what Skateistan faced in Kabul? In both countries children find it very hard to access quality education, many people are poor and illegal drugs are extremely destructive. At Skateistan kids are offered another option and the opportunity for a different, brighter future. In Kabul and Mazar-e-Sharif, there are very few things kids can do, so when you build a skate school it’s an enormous attraction. While many kids in South Africa have very difficult lives, they still have more options than Afghan kids, so our job is to make the Skate School in Johannesburg as attractive to the local kids as the ones in Afghanistan. That will be a different story as Skateistan’s programs in Johannesburg will be tailored to the needs of the children there. So offering Skate and Create, a program that combines educational arts with skateboarding, but also a new Drop-In program providing homework help and career advice for older youth. How accessible will Johannesburg’s new Skate School be? The skatepark will be accessible for our students and programs throughout the week and is sure to be a magnet to kids wanting to skate and learn. It will also be open to the public on weekends as a great new safe space and facility for the community in general. In South Africa, it will be easier to get the permission from parents to get girls involved than in Afghanistan. 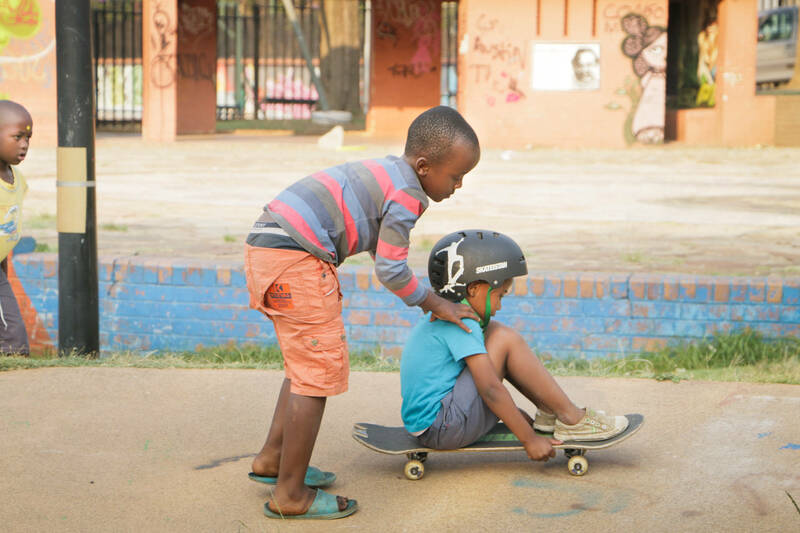 However, because the skateboard scene has been active in South Africa for some time, it may already be seen as more of a boy’s activity than girls, and that can make it harder for girls to join in. Why is it skateboarding and education are characterized predominantly as adversaries, when we continue to see first-hand in Skateistan the symbiotic relationship between skating and education? I think people have to realize skateboarding is one of the best types of education you can get. You learn how to be in the moment and how to develop a presence of mind. It’s active learning – you’re completely engaged– not sitting passively in a classroom reciting the alphabet. Through skateboarding you are exposed to people with different ideas and from different backgrounds. This develops tolerance. It teaches you to be active and when you are injured it teaches you how to be still. Skateboarding gives you a community to inspire you, guide you, and challenge you. It teaches you how to be creative with your ideas and it provides creative outlets. Skateboarding creates many lifelong learners which is very rare in conventional education systems. 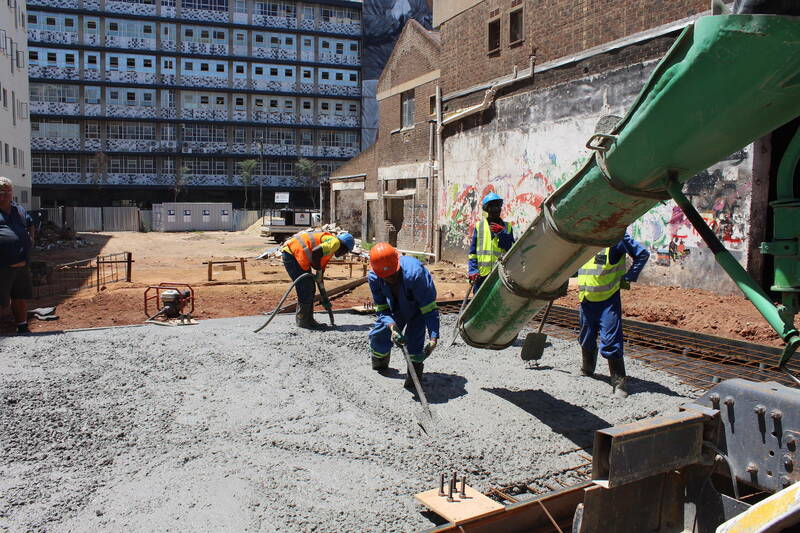 Currently, what stages have you reached in the construction of the Johannesburg skate school? When is it scheduled to be open? After unforeseen delays and obstacles we’ve officially broken ground. 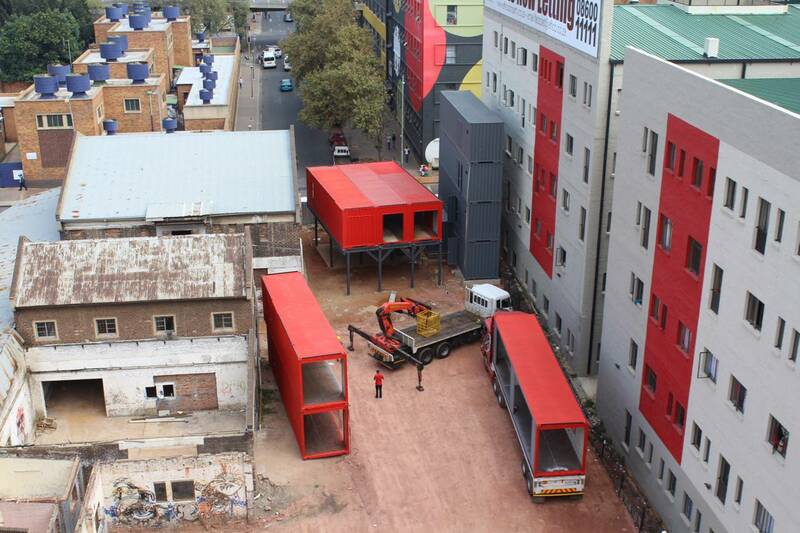 The classroom containers and office spaces are now in place. Next, we’ll start and finish the interiors of the building. We basically have a big shell right now created from recycled storage containers. After, we’ll move on to the skate park. We’re extremely fortunate to have New Line Skateparks coming over from Vancouver to help build it. It’s scheduled to be complete Mid-2016. How long till you believe the impact is felt? (if not already). I think the impact of Skateistan will be pretty immediate. We’re located in an incredible area growing at a fast pace. Surrounding the facility families and children live within a short walk from the Skate School location. Personally, I think one of the bigger contributions Skateistan can make here in Johannesburg will be to provide an example to the city, surrounding communities and other NGOs about the kinds of safe spaces possible and useable for the youth of Johannesburg. Skateistan is doing something really unique and sometimes it’s hard for people to understand the value or benefits of an organization like Skateistan and the programs it provides until they see it in action. 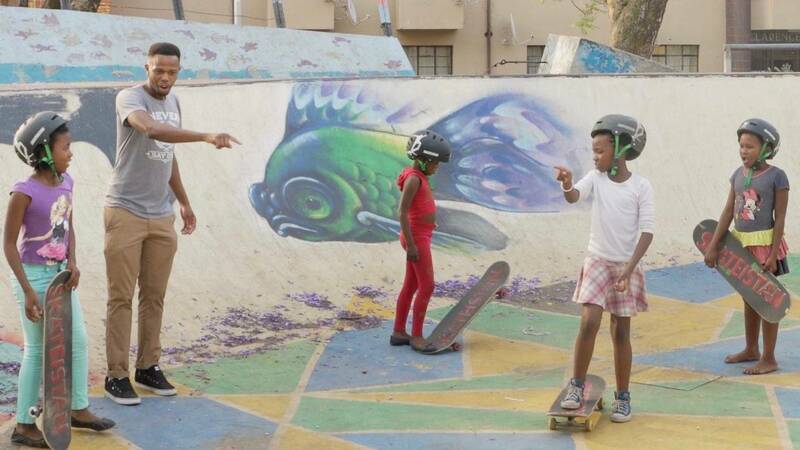 What are some of the initial challenges facing Skateistan when creating a safe space for South African youth? The general difficulties of building in South Africa is there’s a ton of red tape and hoops we need to jump through to get something like this done. We’re building something quite ‘outside of the box’ literally, with the container style construction and cement skatepark. Also, working as a Non-Governmental Organization (NGO), budgets are always a challenge, so trying to build a world-class facility has meant we have had to get a lot of different sponsors and partners on board to make it happen. What is the mindset of Skateistan going in this endeavor? We tend to set some pretty ambitious goals, an attitude I think we have all developed from our success in working in difficult countries like Afghanistan and Cambodia. Everyone at Skateistan is extremely driven, and we don’t like to take no for an answer. When Oliver [Percovich] first thought of the idea of building a Skate School in Afghanistan, nobody thought it was possible, but he truly believed in the idea and continued to push forward despite everyone telling him it would never happen. What is the future of skateboarding in Johannesburg, beyond Skateistan? Skateparks here have come and gone and most of them were private facilities kids can’t afford or can’t access because they’re too far. Even Skateistan, free for all youth to register and join is still a privately funded space. What I hope will happen through Skateistan’s first Skate School here [Johannesburg], is that Johannesburg as a city will recognize skateboarding as a healthy activity. 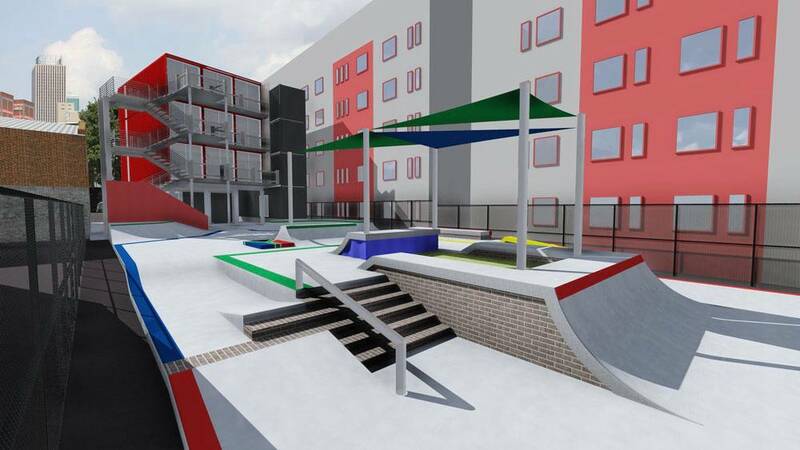 We have already been involved in some informal discussions with the folks within the Johannesburg Development Agency (JDA), about new public skateparks around Johannesburg. I’m hoping once Skateistan is built and people see what is possible and how positive skateboarding can be for the youth in the area, they will support more public spaces for youth to skateboard. Having fun is a driving force in skateboarding, obviously Skateistan promotes safety, education, and fun through skateboarding, but why have these regions lacked fun, creative, and educational spaces to begin with? That’s a great question but a tough one to answer. The United States has faced similar problems transitioning to a society of racial equality and social justice, but in South Africa apartheid only ended one generation ago. The inequality it enforced still has a big effect on families and communities. When you have abandoned skyscrapers controlled by gangs, I suppose building parks so kids have a safe space to play takes a backseat to the more pressing problems at hand. I’m excited to be here right now; after a few decades of decline the city seems to be turning around. There’s still a long way to go, but there’s great initiatives and organizations working to improve these inner city neighborhoods. I’ve had the opportunity to meet with city officials about development of recreational spaces, skateparks specifically, and they seem to be warming up to the idea of more public spaces. We’re hoping when they see what we’re creating they will be encouraged to build upon that success. What are you looking forward to most in establishing this impactful skate school in the Johannesburg community? After observing how the skate classes run in Afghanistan and Cambodia, I think we’ve really put together a great design for the new park. It’s laid out to easily break the park into individual zones for groups of skaters to take turns rotating through. We’ve installed a small mini ramp, medium ramp with taller extensions, ledges, banks, hips, a bowled corner, a manual pad and a beginner stair + handrail set.These kids will get good at skating it all. I’m certainly excited to see all of our work coming together, but I’m more excited to see our student’s reactions when they get to try it out after waiting so long. Specifically, it’s inspiring to see girls skating together at the same level as the boys and realizing they’re just as tough. Girls grow up thinking women aren’t as strong when they absolutely are – they are fearless! Can you provide insight into the construction of the new school regarding its skatepark facility, classrooms, and study areas? Skateistan South Africa is in a dense urban context with a long, skinny plot of land. Our architect Mike Scott, wanted to save as much land for the skatepark as we could, so he went straight up with the containers instead of out. The building does fit in pretty tight next to the adjacent and recently renovated affordable housing complex, but we started Outreach before construction to make sure any kids in the building are able to register as soon as we’re open. The long skinny nature of the lot actually works great for the skatepark; creating several parallel lines of transition and street features the students can skate without crashing into each other. It took quite a while to get the engineering and steel specs together for the building, every container can vary in dimensions by a centimeter or two and the steel structures are fabricated down to the millimeter, so there was a ton of adjusting before we could start installing. 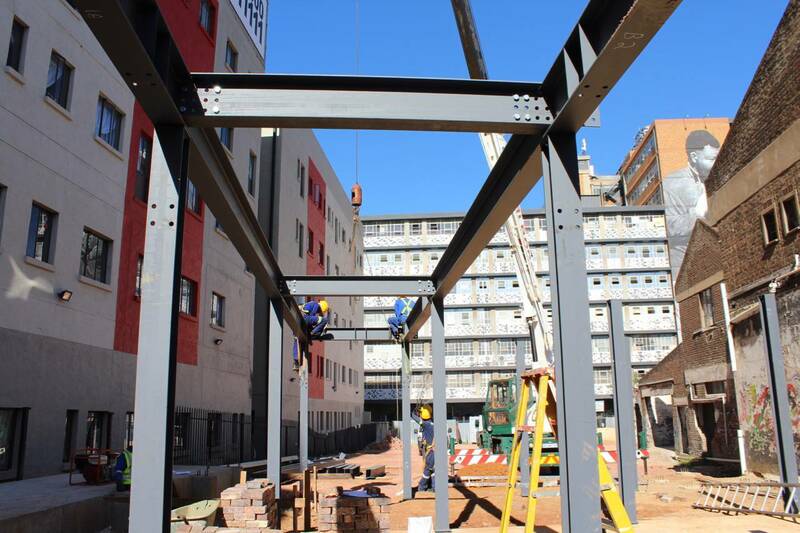 The other major hurdle was obtaining all the building approvals – there is a unique set of challenges to building in downtown Johannesburg. We’ve had to navigate a complex bureaucracy with strict building regulations, as well as dealing with tricky foundations built on land that has been mined and filled over the last century. If you had to give a shout-out to people/organizations who helped Skateistan get to where it is today, in regards to the Johannesburg skate school, who would you credit and why? It takes a village to make a project like this happen and we wouldn’t be able to do what we do without the assistance of a lot of our supporters, government organizations, and corporate contributions. Our initial start in South Africa was with the encouragement of the Danish Embassy who had supported us in Afghanistan, as well Dr. Simon Adams who is an international human rights activist on our advisory board with experience fighting apartheid in South Africa. The biggest source of funding came from a partnership between The Skateroom, MoMA NYC and Paul McCarthy, and we’ve been fortunate to find local sponsors like Saint-Gobain and CTM who have provided products for the education center as well as AfriSam who is providing concrete for the skatepark. 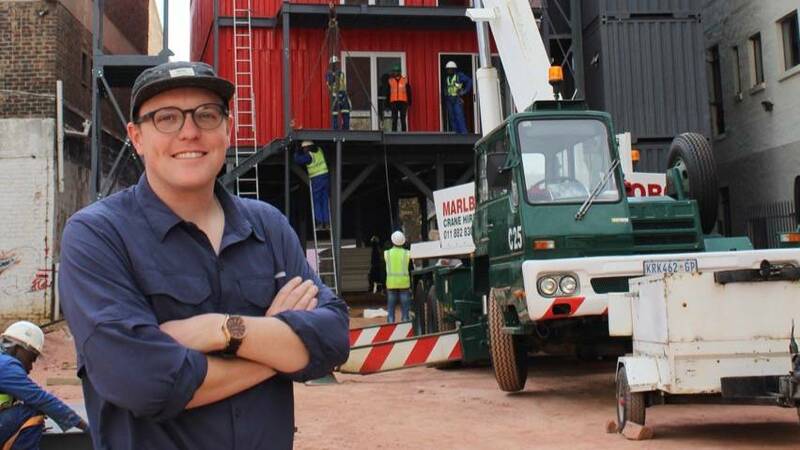 Everyone we’ve worked with has wanted to help where possible; Big Box Containers is doing all of the building fit-out and donated two containers, and MWP Architects and TVNA Engineers have helped with some pro-bono services. Shotcrete Africa is giving us a deal in exchange for being able to learn from some of the best skatepark builders at New Line Skateparks, who are contributing a lot to the project. Every bit of savings we can find means more we can invest into our educational programs. Help Skateistan raise $50,000 for the new South Africa Skate School HERE!